We have a couple different options for video advertising on Business Fleet. We accept video ads in all our banner positions. See specs for video ads here. We also offer FLEET TV, the premier "station" for fleet management videos, everything from training to fuel management. Use FLEET TV to showcase your new product or highlight one of your company experts with a brief interview. 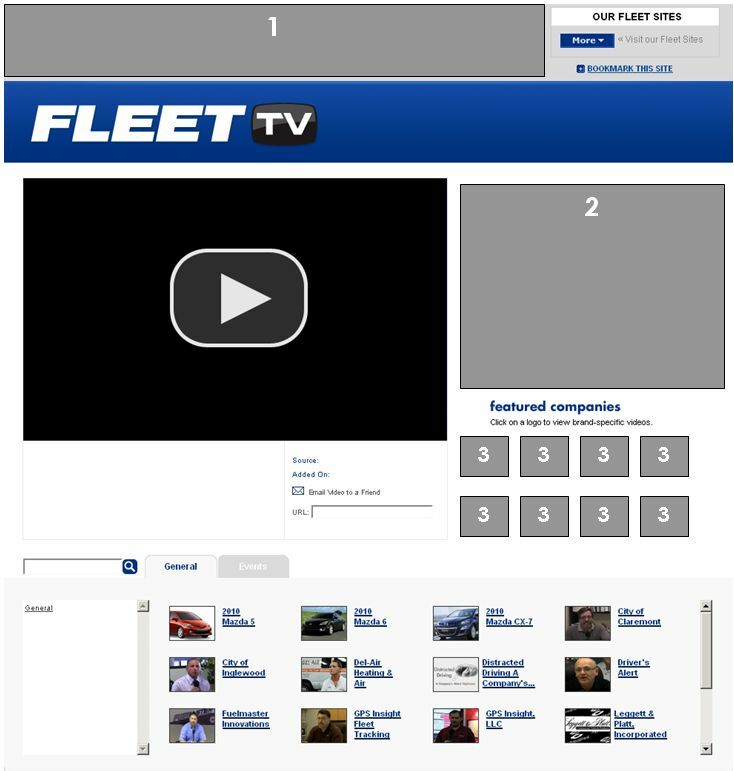 FLEET TV sponsorship allows you to say it with customized video content located directly on businessfleet.com’s homepage. Logo squares (100X40).When a user clicks on your logo, all your video content, including any video tagged with your company name, is listed in the search results. Call your representative for more information on how to put video and FLEET TV to work for you.